Need a budget-friendly new spot? Though apartment hunting can be challenging, don't despair just yet--there are deals to be had. 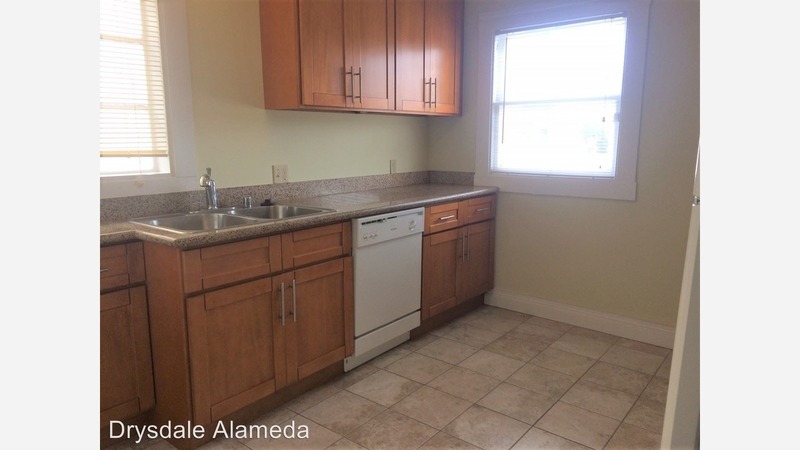 So what does the low-end rent on a rental in Oakland look like these days--and what might you get for the price? This one-bedroom, one-bathroom apartment, situated at 1929 26th Ave. in Reservoir Hill/Meadow Brook, is listed for $1,649/month for its 450-square-feet of space. When it comes to building amenities, expect concierge service, secured entry and on-site laundry. Pets are not welcome. Apartment amenities include hardwood floors, a Samsung TV, stainless steel appliances, a faux fireplace and a ceiling fan. Walk Score indicates that the area around this address is very walkable, is relatively bikeable and has good transit options. Then there's this apartment with one bedroom and one bathroom at 8656 MacArthur Blvd. in Toler Heights, listed at $1,750/month. The building features on-site laundry, assigned parking and additional storage space. In the unit, look for hardwood floors, wooden cabinetry, granite countertops and a small breakfast bar. Pets are not allowed. According to Walk Score's assessment, the area around this address isn't very walkable, has minimal bike infrastructure and has good transit options. Listed at $1,799/month, this 600-square-foot one-bedroom, one-bathroom apartment is located at 1809 Filbert St. in Ralph Bunche. The building offers on-site laundry. In the apartment, look for high ceilings, a mix of hardwood floors and carpeting, a walk-in closet, wooden cabinetry, stainless steel appliances and ample natural light. Pet owners, inquire elsewhere: this spot doesn't allow cats or dogs. Per Walk Score ratings, the area around this address is very walkable, is quite bikeable and has excellent transit. This one-bedroom, one-bathroom apartment, situated at 3875 Ruby St. in Mosswood, is listed for $1,975/month for its 650-square-feet of space. In the unit, expect to find hardwood flooring, a dishwasher, a walk-in closet, high ceilings, granite countertops and a ceiling fan. Attention, cat owners: your kitty is welcome here. The building features on-site laundry, a bike room and a Zen garden. Walk Score indicates that the surrounding area is extremely walkable, is easy to get around on a bicycle and boasts excellent transit options. Over at 3939 Webster St. in Mosswood, there's this one-bedroom, one-bathroom apartment, going for $2,150/month. In the unit, expect to find a decorative fireplace, hardwood floors, a dishwasher, wooden cabinetry, bay windows and a small patio. Animals are not welcome. When it comes to building amenities, expect assigned parking. According to Walk Score's assessment, the area around this address is a "walker's paradise," is a "biker's paradise" and is a haven for transit riders.